The NEC CC-SPYDER4 is a display color calibration tool designed for photographers, videographers, and video editors. This patented 7-color sensor improves upon colorimeters that use 3-channel RGB sensors. The fourth-generation Spyder4 has double-shielded color filters for closer match to CIE color standards and improved long term stability. 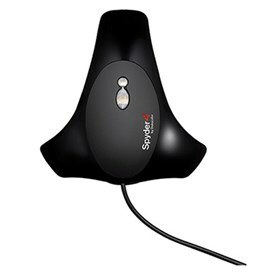 The CC-SPYDER4 is compatible with SpectraView II software which analyzes color measurements and sends color adjustment commands directly to the display monitor. The NEC CC-SPYDER4 has many exciting features for users of all types. See the NEC CC-SPYDER4 gallery images above for more product views. The NEC CC-SPYDER4 is sold as a Brand New Unopened Item.